Posted August 1, 2017 in K100. 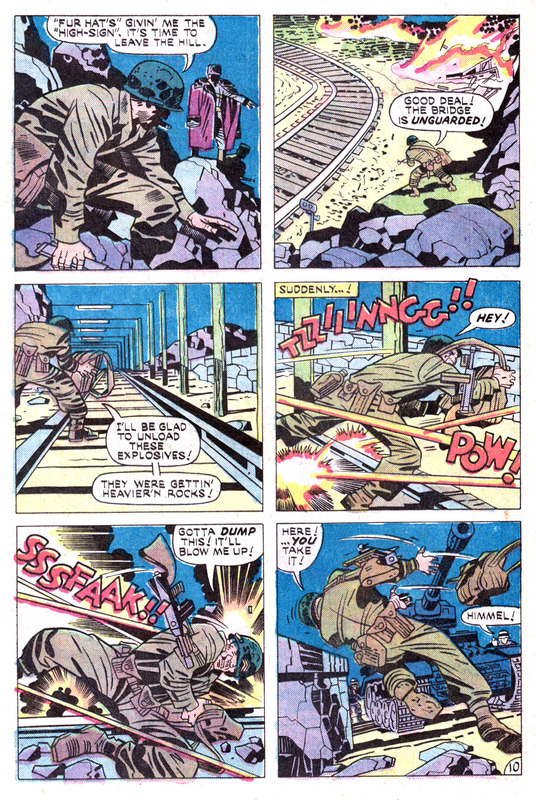 “The Partisans” is the fifth of Kirby’s dozen stories of The Losers, running in DC’s OUR FIGHTING FORCES #155 , an 18-page story inked and lettered by D. Bruce Berry. The Losers continuing travels through the various theaters of operations in WWII brings them to Yugoslavia this time, with a story that focuses almost purely on Sarge, with just short cameos by the other members. This has the effect of making it read like it could be a story about a cigar-chomping Nick Fury or Ben Grimm during the war just as easily as anything else (or maybe Dan Turpin, or ultimately Kirby himself). 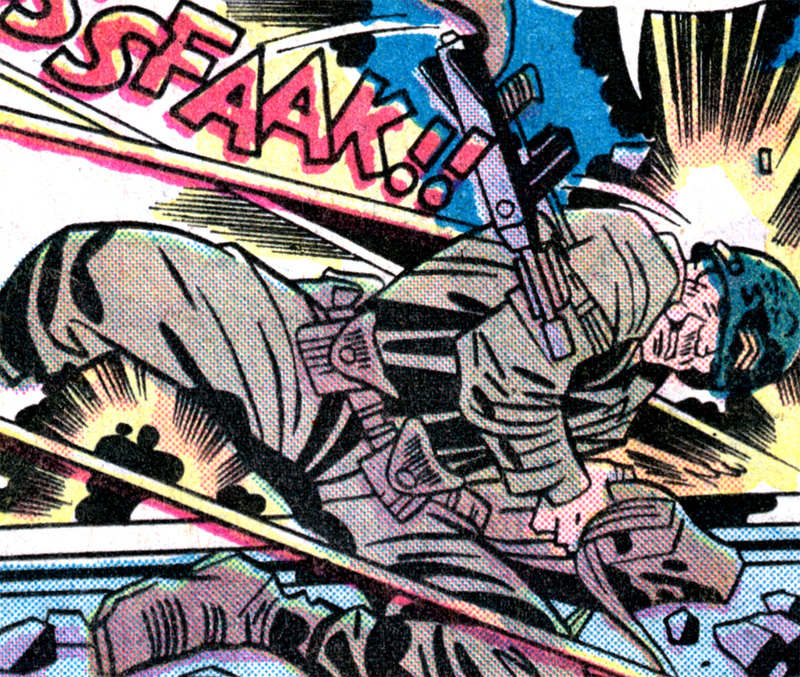 Like the other classic Kirby tough guys, Sarge faces injury and impossible obstacles to accomplish his mission, as part of a story about a strange group of Yugoslavian resistance fighters, led by the silent but powerful leader “Fur Hat”. This is classic Kirby, one of the best of this very good run of comics.